To inform the brief, we interviewed a number of organisations with experience developing mobile platforms to drive social change. We asked them what they learned and their best advice to those interested in going down this path. 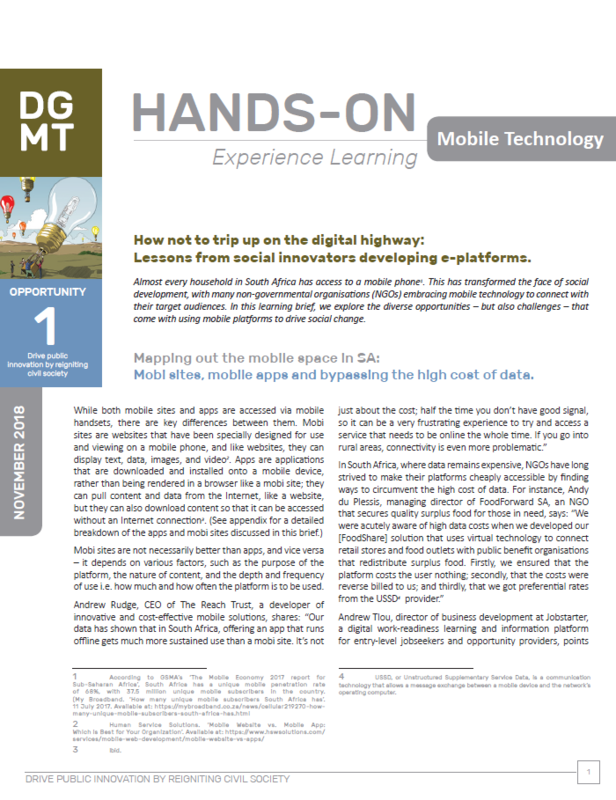 Download the Mobile Technology learning brief here or page through it in ISSUU below – choose full-screen mode [ ] for a better reading experience. You can download the full Hands-on Learning publication (Issue 13) here.